Why shoot for the moon when you can head for a distant planet? 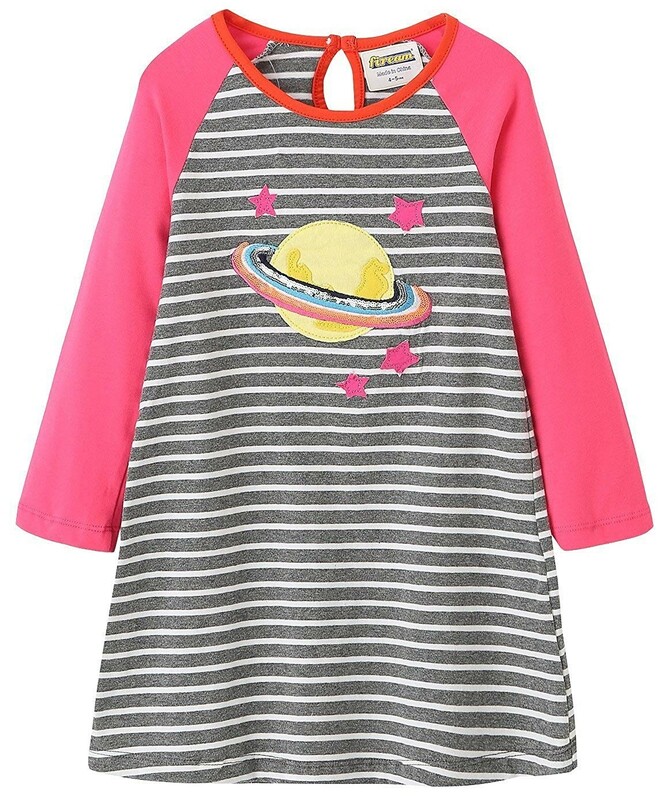 This colorful cotton-blend dress from Fiream is perfect for space-loving girls, who will love the sequined planet applique. 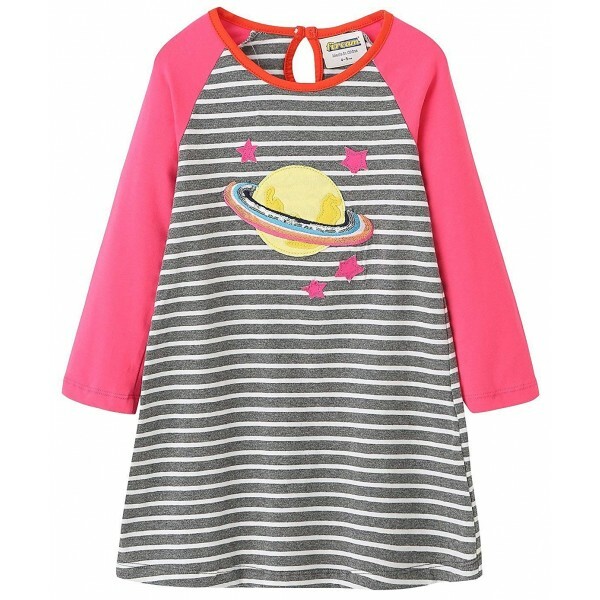 This dress is available in toddler sizes 18 months, 2T, 3T, 4T, and 5T, and girls' sizes 6-7 years, 7-8 years, and 9-10 years.